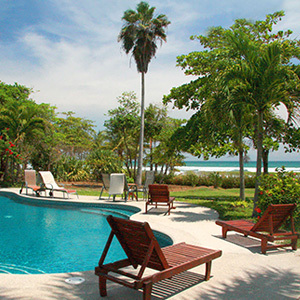 This beautiful and modern vacation rental home is located on the best surf breakpoint of Santa Teresa, with access to an adjacent hotel and its facilities like pool, restaurant and playground. 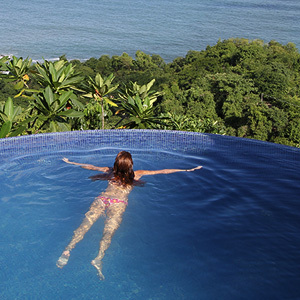 The center of Mal Pais/Santa Teresa is only a few min. walking distance. 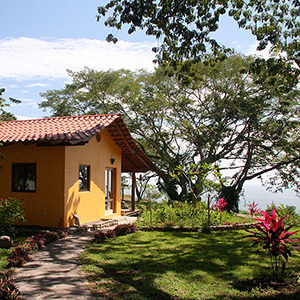 This Costa Rica house for rent features 2 bedrooms (the master bedroom comes with a hot tub), 2 bathrooms, a living room, fully equipped kitchen and an airy and comfortable terrace to hang out and relax. The kitchen has big windows that can be opened widely to a bar place. The rental villa is fully equipped and comes with all amenities like hot water, wifi, AC, cable TV, 24h security, daily cleaning service and washing machine.